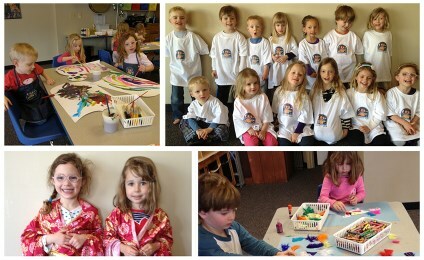 Each of our Noteable Kids preschool enrichment programs are complete and can be taken individually. HOWEVER, all of the programs are also designed to work together to give your child the ultimate Expeditionary Learning experience. Your children will "learn by doing" as the programs all utilize the same topics at the same time, integrating all the disciplnes through tangible, hands-on, play-based experiences. Each Class is 45 minutes, but can be combined with it's partner class for a total of 1 hr & 45 min per day. You may combine days to attend twice per week for maximum benefit. 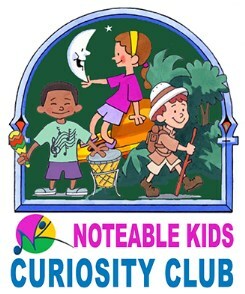 Curiosity Club activities are challenging, energetic and creative. We gear everything around a given topic and integrate a variety of disciplines and learning strategies into a fairly structured discovery process incorporating the arts, science, social studies, literacy and math with hands on experiences that expand the mind and fire the imagination. We have created unique and graded curricula for our Preschool, Pre-Kindergarten and Kindergartners that is proven to inspire learning. Because kids have a natural curiosity that we tap into with our theme-driven sessions, they have a great deal of fun while developing the very important core academic skills of reading, writing and arithmetic. The hands-on learning environment also inspires critical and creative thinking, observation skills and reasoning. 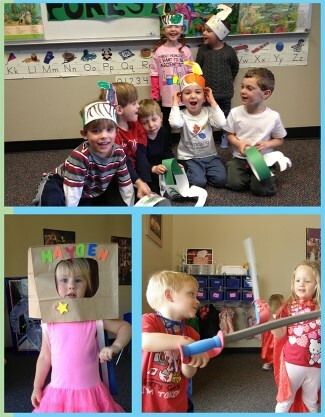 Drama, music and art play an integral role in tying it all together, rounding out the total learning experience. Your children will have so much fun, they won’t even know they’re learning!! Research shows that most children have formed an opinion (either positive or negative) about science by the time they reach the age of 7. That puts a tremendous about of responsibility on early childhood professionals, especially with all of the emphasis being placed on STEM education. 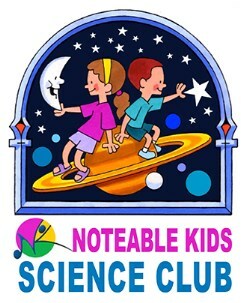 That's why we have created the Noteable Kids Science Club where students are engaged on a whole new level using creative methods that promote wonder through unforgettable learning experiences. In this hands-on, minds-on science club we will weave facts into real-world applications as we investigate, explore, experiment and play! 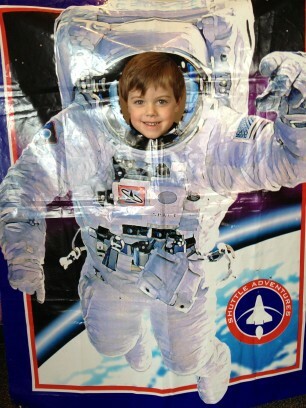 Kids are naturally curious about the world around them and want to know how things work. Each class will focus on a science concept to help young children understand the world around them while getting messy, discovering and having fun! We've all heard about the benefits of early childhood music and art exposure... accelrated brain development, fine and gross motor skills, language, devopment, decision making, cultural awareness, increased memory and social emotional learning to name a few. We also know that children learn best through hands-on experience and "play." 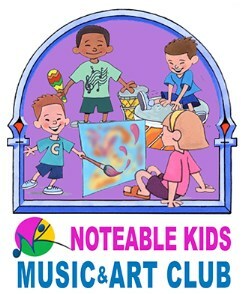 So..... in our Music & Arts Club classes your children will get to explore! They'll get messy and discover, dance and sing, they'll play instruments and build instruments… We provide opportunities for creativity and playfully introduce them to developmentally appropriate concepts in music and art. They will joyfully learn through experience!